The centre builds on the world-leading and international excellence performance in the field of computer science, cognitive robotics and neural computation. Staff at the centre coordinate large UK and FP7/H2020 projects (e.g. 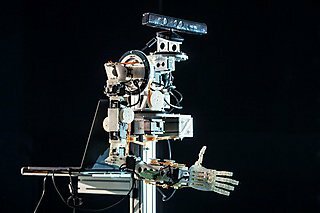 COGNOVO, APRIL, L2TOR) and collaborate with the major international centres in cognitive robotics and computational neuroscience. The Centre is part of the Faculty of Science and Engineering’s priority area on Robotics and Autonomous Systems, together with the Autonomous Marine System group. Given the Centre’s highly interdisciplinary approach, it collaborates with researchers in the Cognition Institute and the Marine Institute. 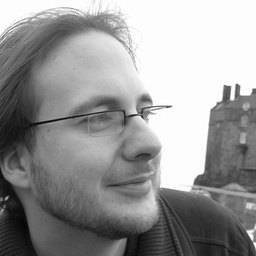 The application of mathematical and computational modelling, computational neuroscience and cognitive modelling in robotics and autonomous systems. 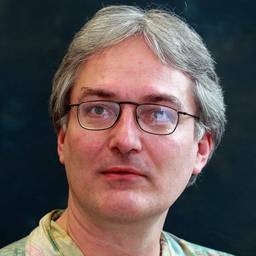 Computational neuroscience and developmental and learning models of biological and artificial systems. The investigation and understanding of the interaction between humans and robots, with an emphasis on language and non-verbal communication and social learning. 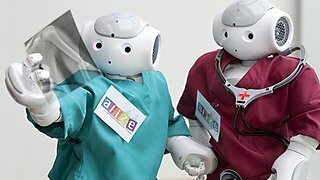 The application of computational models into real-world robotic and interactive systems such as robot companions for hospitalised children and for elderly care, robots in education, personal robotics, future intelligent systems and autonomous systems. CRNS regularly organises robotics-themed events, both for the general public and researchers. Additionally, during term time CRNS hosts regular research seminars featuring a wide range of robotics and neural systems researchers from around the world. These talks normally take place from 14.00–15.00 on a Friday, in the Link Building Level 3 seminar room. 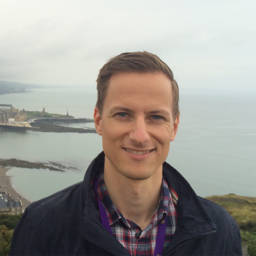 From May 2017, the CRNS seminar is also part of the Joint Exeter-Plymouth Seminar Series in Computer Science, Robotics and Big Data, which supports the collaboration in these disciplines between the Universities of Plymouth and Exeter. 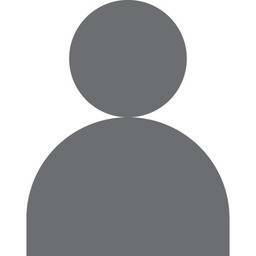 For a schedule of events and research speakers, please see the events page. This device is able to record movement of the handle and also exert forces on the participant’s hand. To celebrate Robotics Week, the University of Plymouth organised an afternoon comprising presentations, lab demonstrations and a discussion on robotics and artificial intelligence. The event was organised by the Centre for Robotics and Neural Systems (CRNS). iCub Cognitive Robotics Lab, for access to the €200K iCub robot, the world benchmark platform for cognitive robotics with 53 DoFs, compliant actuators, and skin in forearms and hand palms for tactile HRI and fine object manipulation. The robot recently received an upgrade to its head and with the addition of new arms and skin sensors. Human-Robot Interaction Lab, with 6 Nao robots, a Gypsy VI full-body motion capture suit, and Microsoft Sandpit interaction table. RobotHome, recently refurbished lab, with ambient intelligence setup and with Scitos G5 Mobile platform for experiments on assisted living. Baxter Robot Lab, for safe human-robot interaction. Robot Football and Education Lab, with 18 Plymouth designed (50 cm tall) humanoid robots used for research in locomotion, teaching in mechatronics and control, and school dissemination activities. Participation in International Robot Football (RoboCup) and Athletics (FIRA) competitions since 2007. A new 1m tall teen/adult sized robot has also been commissioned. Swarm Robotics Lab, with 40 e-puck mobile robots with onboard cameras and Linux/WiFi for swarm and social robotics. Motor Learning and Robotics Lab, with two vBOT manipulanda robots and a three-dimensional 3BOT robot for experiments on human motor control and learning. Computational Neuroscience and Brain-Machine Interaction (BMI) Lab, with Linux Beowulf computer cluster with 80 cores and fast interconnect, Retina VSLI and National Instruments FPGA for BMI. Apple P-ARTS for NVIDIA GPU Labs with the Apple-sponsored 'P-ARTS: Plymouth Advanced Robotics Training Suite' (cluster of 4 X-servers for robot training) and the NVIDIA’s sponsored GPU Centre (12 networked computers with 30 Tesla cards). Grant-in-kind from Apple Inc. and from NVIDIA Inc. The CRNS has a range of state-of-the-art robots used in our cognitive, personal and brain-inspired robotics research. 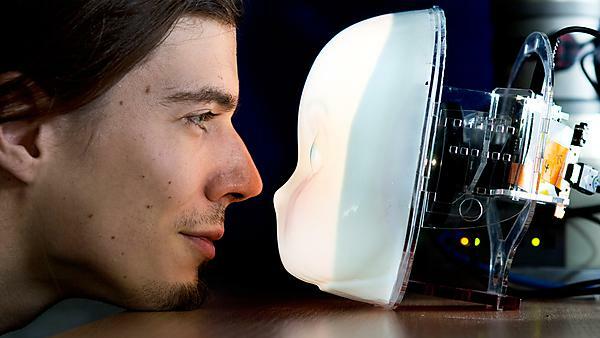 The iCub robot is a humanoid robot having the dimensions of a young child. 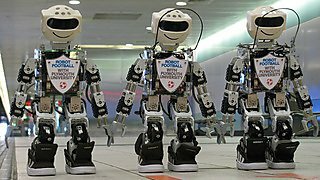 Numerous Aldebaran/SoftBank Nao and pepper humanoid robots and are used for tutoring tasks and human-robot interaction studies. 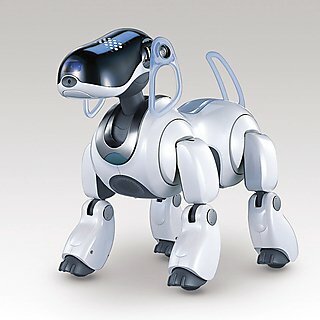 The SCITOS G5 mobile platform (aka Gioni5) and the Giraff robot are used for experiments on robot companions for the elderly. The Baxter robot is used for work on human-robot cooperation and for neurorobotics studies with the SpiNNaker neuromorphic hardware. 25 x Plymouth Nanobot – FPGA, Arduino, Pi controllable 2-wheeled robot for 1st/2nd years. 12 x Plymouth Humanoids – 18 DF humanoids with Odroid 64-bit quad core processors, running own robot framework under Linux Ubuntu with OpenCV vision, and Atmel processor R/T gait controller, IMUs, mono camera, wifi link. Used for gait kinematics, and computer vision for 2nd /3rd year and MSc. 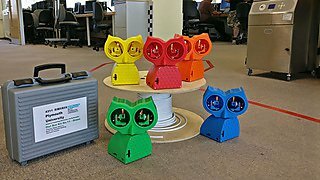 21 x Plymouth OWL robot – stereo vision using Raspberry Pi computer board with twin OV5647 cameras. 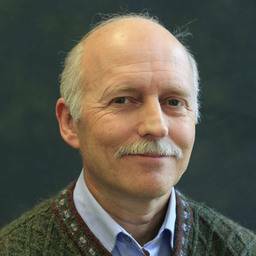 Links to host for vision analysis and servo control. Used for servo control, stereo vergence, disparity and saccadic eye modelling for 3rd year and MSc Robotics. 10 x NAO robots for HRI for 3rd year. 1 x Gummi ARM for soft robotics MEng final year and MSc Robotics. 20 x complete Dynamixel 5-axis robot arms used for robotics teaching. 1 x Baxter bi-manual robot with ROS interface (available for final year projects). 3 x Mitsubishi industrial Pick&Place arms for 2nd year and MSc Robotics. 15x pole-balancing robots for 2nd/3rd year for control theory. 20 buggies for ‘Robot Software Engineering’ with Arduino Uno, Pi 3 and Android phones to support distributed development with ROS. Six rapid prototyping printers supporting PLA, ABS, Nylon, conductive elastomer and other materials. Solidworks CAD design and Modelling software available on over 30 workstations for robotics and electronics students. 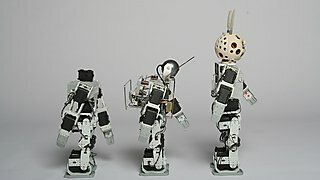 Various robot platforms have been designed in-house. 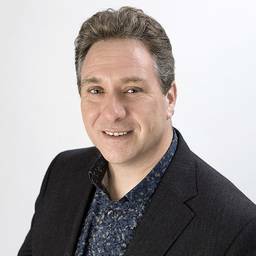 The latest soft-robotics platform GummiArm has been designed by Martin Stoelen to do experiments in agriculture robotics. And the Plymouth OWL robot, used for teaching active vision for scene analysis and cognition. Plymouth Humanoid robots for robot football. The SlothBot is a slow-moving wall-like robot built for an arts project. The Autonomous Wheelchair was developed for a 1997 exhibition by Donald Rodney. 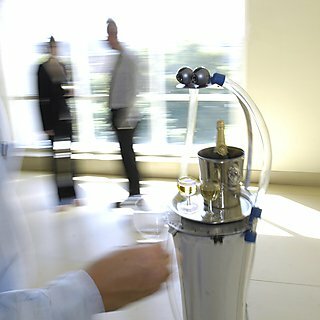 ButlerBot is a robot designed to serve drinks during highly dynamic and unpredictable cocktail parties. The CNRS has a strong presence in the Hurosot humanoid robot football competition. The Robot Bunny is a platform developed for teaching and bipedal robotics research. There is a thriving robotics society at the University of Plymouth in which undergraduate, postgraduate and PhD students work on fun challenges in robotics. The society meets on Wednesdays during term time in PSQ B103 from 16.00–18.00. 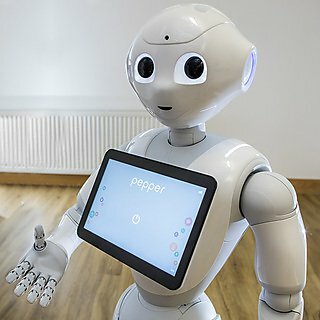 Research on cognitive robotics and on human-robot interaction carried out at the University of Plymouth has been featured in two BBC documentaries. 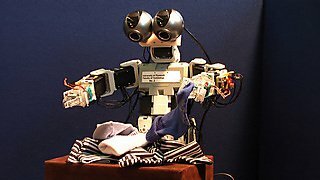 Work on language and number learning with the iCub robot featured in the second episode of the BBC Four documentary 'Hyper Evolution: Rise of the Robots', shown in August 2017. And the work with the Pepper robot was shown in the BBC Two documentary 'Six Robots & Us'. A team, including PhD student Ricardo de Azambuja, competed in European Robotics Week held in Brussels in November 2016 - see images of the event. 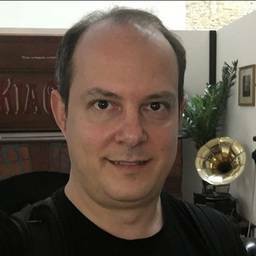 Read more about Ricardo's project. This project, funded by Honda Research Institute (Offenbach, Germany) aims at advancing the scientific understanding of trust and intention compliant support in the interaction of humans and machines. 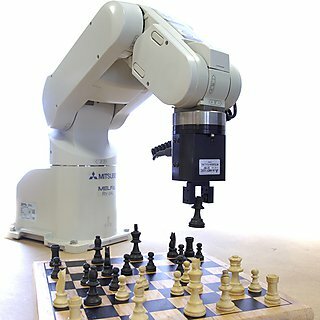 It is advanced by means of the design of a robot learning architecture, based on the developmental robotics approach (Cangelosi and Schlesinger 2015, Goerick et al 2009), for collaborative intelligence between humans and robots engaged in joint tasks. In particular it will investigate how a robot can learn to use redundant, multi-modal information (eye-gaze, gestures, motion, speech) to dynamically infer the intention of the human partner and to communicate its own intention and shared goal. 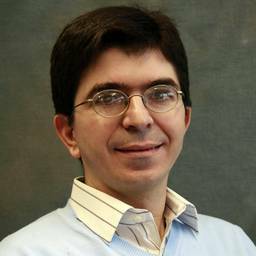 The projects funds a PhD student (Samuele Vinanzi), who is co-supervised by professor Angelo Cangelosi and by our Visiting Professor Goerick from Homda HRI. The project Agri-tech in Cornwall is funded by the European Regional Development Fund, and includes a line of research in robotic harvesting. This is led by Dr Martin Stoelen, the designer of the well know GummiArm. 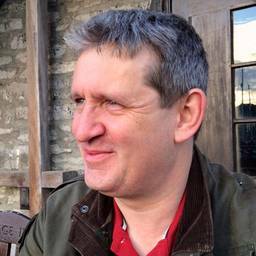 In addition, Martin is the PI of a Royal Society Newton Fund grant on Robot Harvest, in collaboration with Professor Mick Fuller. 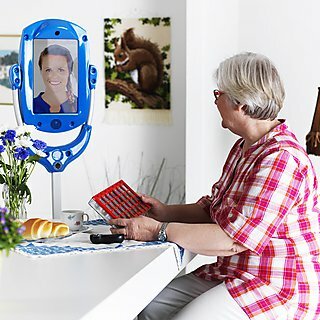 Award of new H2020 grant 'MoveCare: Multiple-actors Virtual Empathic Cargiver for the Elder' (Euro 440k to PU), which will combine robot companions and games to support the independent living of the elderly. 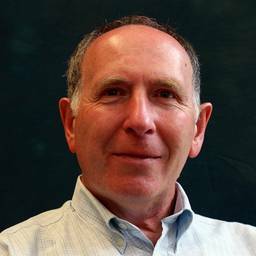 The grant is led by Professor Angelo Cangelosi (SoCEM/CRNS) as PI, with Professor Ray Jones of the Institutes of Health and Community as co-investigator. This grant is in collaboration with Oxford University, Milan University (coordinator) and other academic and user partners in Europe. 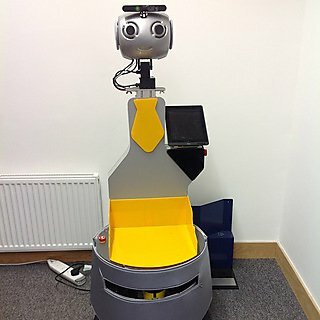 L2TOR (pronounced ‘el tutor’) is a scientific research project on second language tutoring using social robots funded by the Horizon 2020 programme of the European Commission. 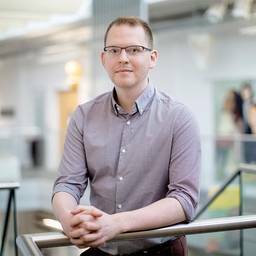 The project aims to design a child-friendly tutor robot that can be used to support teaching preschool children a second language (L2) by interacting with children in their social and referential world. 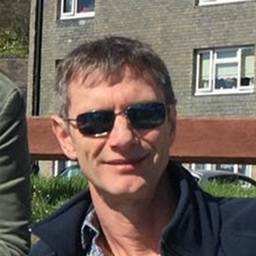 The project is led by the University of Plymouth, with Professor Tony Belpaeme as coordinator. 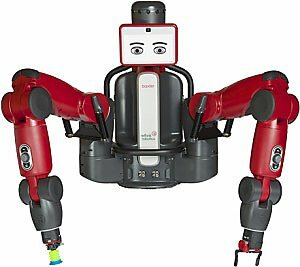 The APRIL European Industrial Doctorate, led by Cangelosi, Belpaeme and Dahl, will look at personal robotics applications through interaction and learning. This is in collaboration with Aldebaran Robotics. 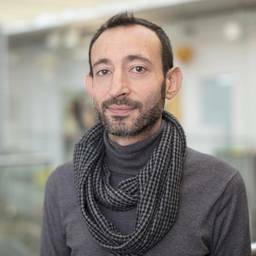 Angelo Cangelosi and Jeremy Goslin will be supervising tow ESR PhD students in the new H2020 SECURE ETN to look at the role of language, non-verbal behaviour and affordances in human-robot interaction. 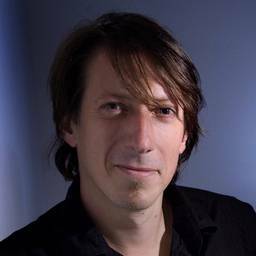 Cangelosi will also lead the CRNS partnership of the DCOMM ETN on Deictic Communications. The CRNS includes an international group of academics, postdoc and research students from a wide range of disciplines.